Crema served the Harvard community as a beloved date spot for many years, but now that it has closed its doors, where can young lovers congregate under the guise of emotional availability? Since your date is most likely going to end up a disappointment anyway, make sure you at least have something delicious to consume while you pretend to be interested in the consulting internship they landed for this summer. 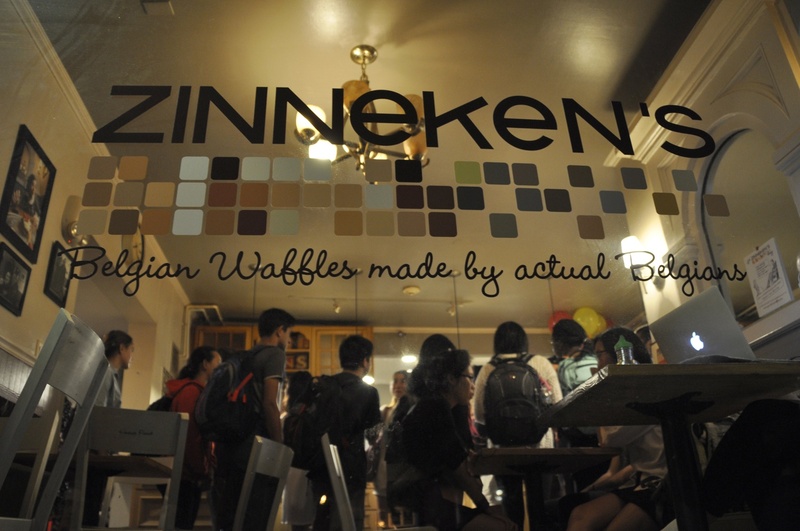 Small and cozy, Zinneken’s fairy lights and ~aesthetic~ waffles are sure to give you butterflies in your stomach - if not for your date, at least for the waffle. Date tip: can’t decide between nutella and cookie butter? Liege and Brussels? Why not challenge your date to create a waffle that’s completely the opposite of yours and then split both? Not a fan of coffee? Wallet feeling too heavy? Have an exquisite taste in chocolate? Look no further, as L.A. Burdick’s fairy lights (I’m sensing a theme here), artisanal chocolate animals, and famous hot chocolate. The hot chocolate will give you a warm feeling in your tummy and a brief respite from the winter chill. Date tip: spice up the night and show off your adventurous side by opting for the “spicy dark drinking chocolate” that your date will surely be curious to try. With bagels and decor straight out of a whimsical New York City cafe, Black Sheep emits idyllic productivity. From classic savory options like their Lox Bagel (or if that’s too plebeian for you, their Lox 2.0) to sweet options like their Ricotta Toast, these bagels will have you finding a bae-gel in no time. Date tip: Bring your laptop and get some work done before your date, so if the date doesn’t work out, at least it wasn’t a complete waste of your time. With its dimly-lit romantic ambience and table grills, you can grill your own food while also grilling your date! If roasting marshmallows on the dinner table doesn’t create sparks, I don’t know what will. Date tip: Come during Happy Hour (11:30 a.m. - 5 p.m. daily) or Super Happy Hour (Mon-Thu 9 p.m. - close), so that if you don’t leave happy, at least your wallet will! No matter where you end up on your dates, good luck out there!